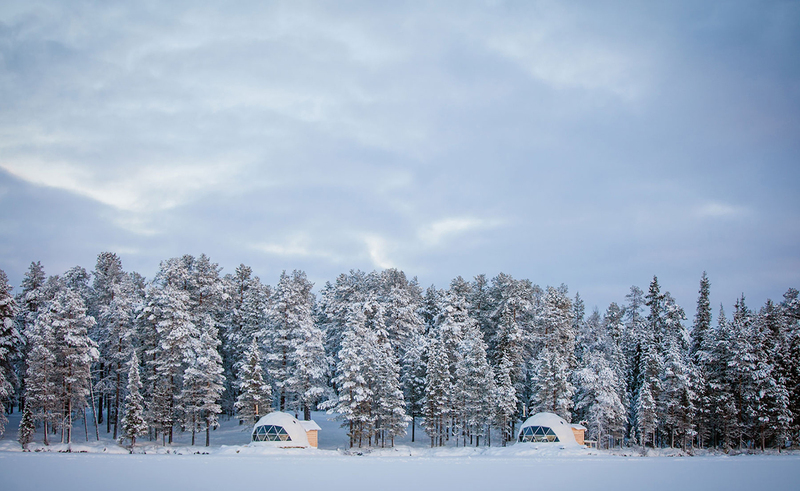 Harriniva is located in the middle of the most amazing nature in Muonio, Lapland. 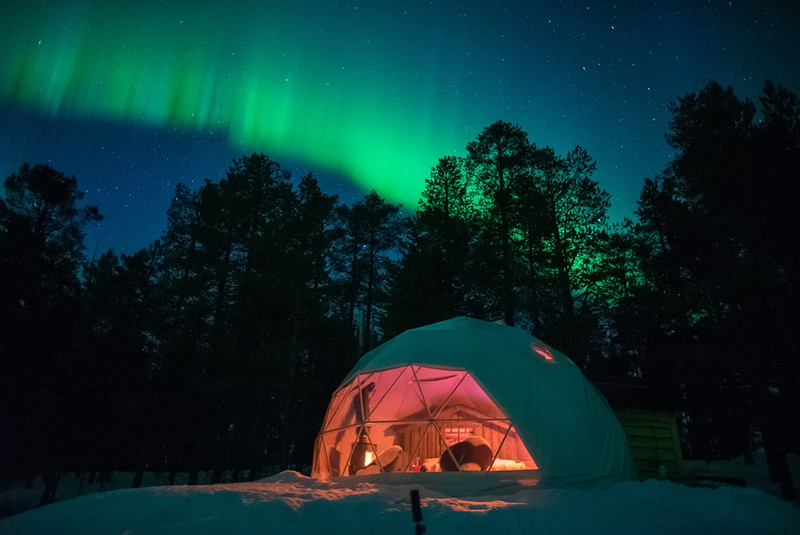 A night in Aurora Dome is a unique way to experience the nature. 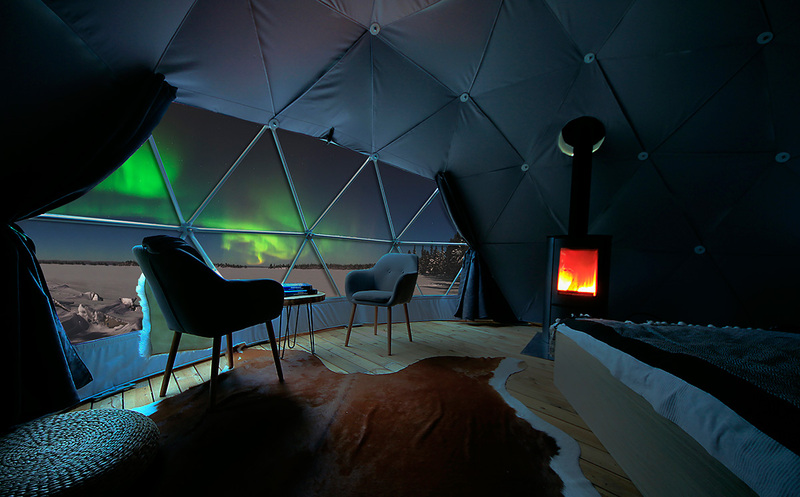 The Aurora Dome is a round igloo-shaped tent with husky and reindeer themed decoration and one transparent wall. 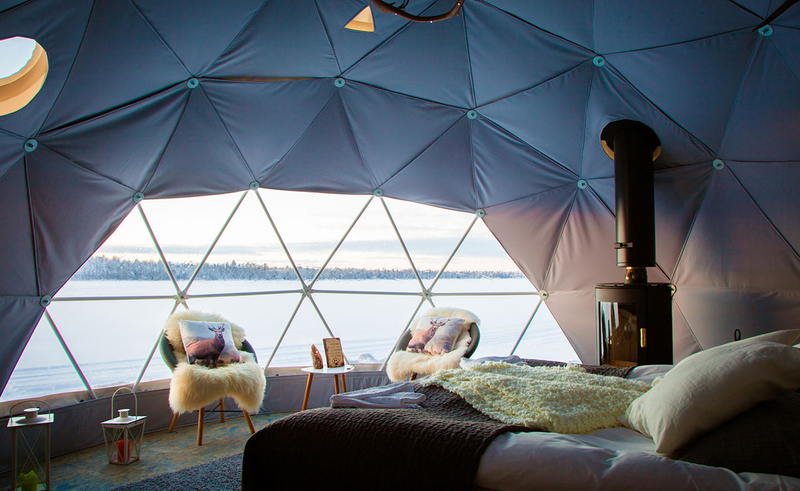 The Domes are completely insulated and a fireplace with an open fire gives out both warmth and comforting ambiance. The entire north-facing section of the dome is sheathed in reinforced glass, all the better to catch the shimmering northern lights which, thanks to the region’s low light pollution, is best seen in early April.